Elbflorace verifies the quality of new vehicle technology with Nikon’s CT technology. In order to develop forward-looking mobility concepts, the students of the Elbflorace team in Dresden each year realize a new electric vehicle. The Formula Student event brings together Engineering, Business Studies, and Economics students to design mobility concepts for the future. 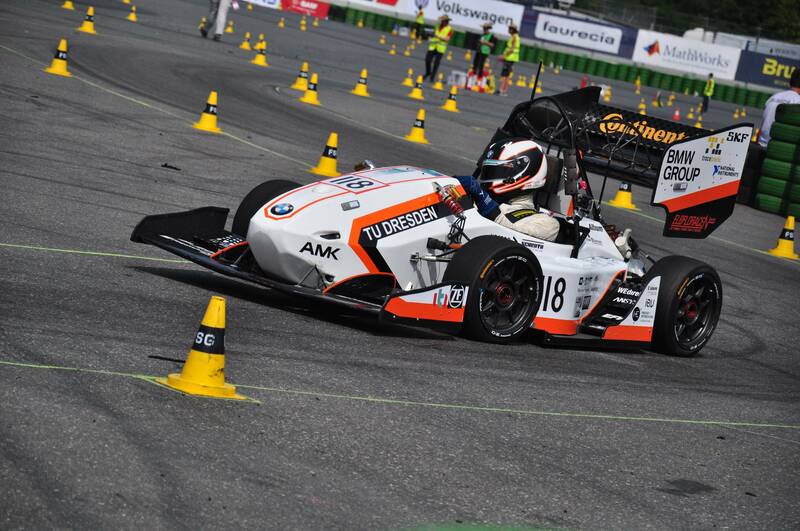 The Elbflorace team from Dresden University participates in the global Formula Student events annually. The requirements for teams entering this event is to design, construct and produce their own electric vehicle. At TU Dresden, up to 70 students join the Elbflorace team each year to participate in Formula Student and once again, the team is prepared for the 2017 competition. Elbflorace uses the Nikon Metrology X-ray and CT in-house inspection facilities, available for contract inspection and consultancy. If you are interested in a similar project, find out more here. A major part of the challenge that participants face, is to create a completely new electronic vehicle in just one year. Whilst they can look to previous years for insights and ideas, they must redesign and redevelop lots of new components each year. The quality of these components need to be monitored continuously to guarantee optimum performance. Only by doing this can the finished product meet all engineering requirements. In particular, equipment was needed to measure fibre composite, glass and carbon fibre structures. For example, layers of fibre repeatedly became detached on the inside, and structural cracks appeared in some transverse links which were made from carbon fibre. Identifying these and determining the causes proved to be particularly problematic. For example, the cracks were often not noticed until the transverse link failed completely. Also, the components had to be taken apart laboriously in order to see where the cracks were running. After initial talks with experts from Nikon Metrology, it became clear that computed tomography could prove to be the answer. Nikon’s X-ray measuring technology has numerous essential advantages for capturing data and assessing complex components. Thanks to the large measuring volumes, the equipment can gather data quickly and effortlessly from 3D objects, regardless of its shape. In addition, CT technology enables you to look inside the component without destroying it.” – Ashley Bray, Metrology CT Product Manager – Nikon Metrology. In addition, the measurement process is completed quickly. This means that the quality of the transverse link can be tested not only immediately after production, but again during operation, in order to assess the level of functionality. Highly loaded components, such as cross-linkers and stabilizers, are produced from lightweight fiber composite materials for maximum energy efficiency. 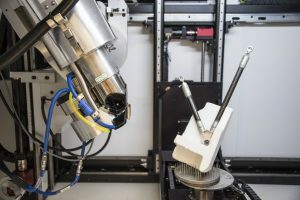 In a matter of months, the Elbflorace team has been able to make considerable improvements to the design and construction of the transverse links thanks to Nikon Metrology CT. The short cycle times played a major role in this respect. Above all, CT technology is particularly valuable and profitable for lightweight engineering with fibre composites, which will become increasingly important in the future. The combination of research into future mobility concepts and ground-breaking metrology CT solutions is very significant. The students report that the CT technology will soon be used for other components including structural components and bodywork parts. They are totally convinced by the advantages, which include the simple measuring procedure, reliable readings and fast evaluation. To read the full case story, view or download the PDF here. Nikon Metrology X-ray & CT inspection services help you to focus on what matters to you, delivering high quality products in the shortest time possible. To find out more or make an enquiry, click here. To read the previous Nikon CT case story, click here.